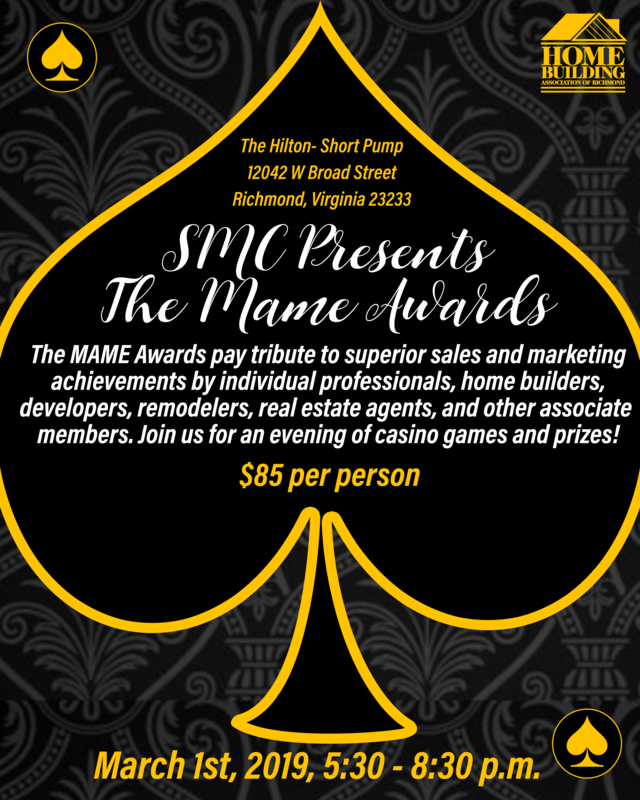 The MAME Awards pay tribute to superior sales and marketing achievements by individual professionals, home builders, developers, remodelers, real estate agents, and associate members. The competition is presented by the Sales & Marketing Council (SMC). 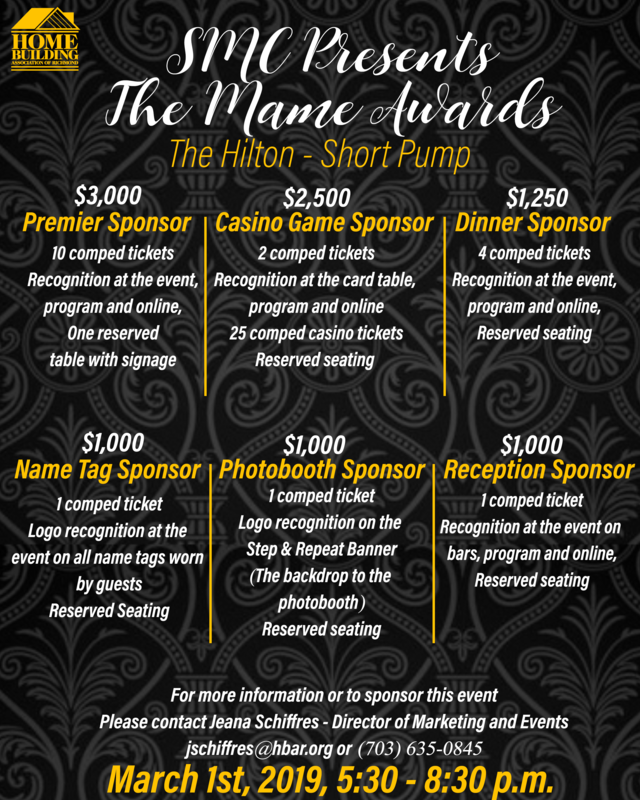 With the a casino theme, the MAME Committee has a fun-filled evening for all to celebrate member accomplishments in 2018. You don't want to miss this event! SPECIAL DIETARY REQUESTS: jschiffres@hbar.org by February 22nd.